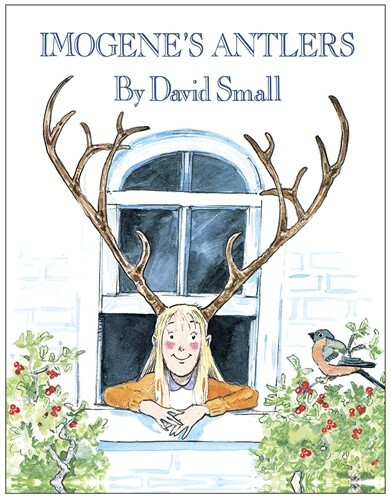 David Small's dryly comic story of a little girl who wakes one morning to discover she has grown antlers has delighted children since it was first published 15 years ago. Now reissued in a sparkling oversize format, this classic is ready for a whole new audience. The family doctor, the school principal, and even Imogene's know-it-all brother, Norman, fail to resolve her dilemma. Imogene, the cook, and the kitchen maid, however, make the best of things, finding unusual uses for Imogene's new horns. Meanwhile, the problem appears to be solved when Imogene awakes the next morning antler-free. But the family (and the reader) are in for a surprise when Imogene comes down to breakfast. .